This is a scalable context timeline. It contains events related to the event October 29, 2001: Australian Citizen Arrested in Pakistan with Two Members of Al-Qaeda’s Hamburg Cell. You can narrow or broaden the context of this timeline by adjusting the zoom level. The lower the scale, the more relevant the items on average will be, while the higher the scale, the less relevant the items, on average, will be. CIA Involved with Zammar Operation - Vanity Fair will later claim that “A lone CIA agent, the Germans disclose, attempted to work alongside them” in Operation Zartheit, but German “requests for greater information and cooperation from the CIA, they claim, came to naught.” [Vanity Fair, 11/2004] This CIA agent is probably Thomas Volz, who is the CIA’s undercover agent in Hamburg at the time (see December 1999). In February 2002, it will be reported on the ABC News program Nightline that in July 2001, “Jordanian intelligence picked up an… alarming threat. ABC News has learned Jordan told US officials al-Qaeda was planning an attack on American soil.” [ABC News, 2/19/2002] It has been reported elsewhere that in late summer 2001, Jordan warns the US that aircraft will be used in a major attack inside the US, but it is not known if that is a separate warning or the same as this one (see Late Summer 2001). Also in late July, Jordan will offer the US to send its elite troops to Afghanistan to attack al-Qaeda, an offer the US turns down (see July 24, 2001). 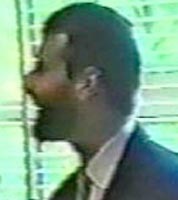 Also in July 2001, Jordan briefly detains and interrogates Mohammed Haydar Zammar, a member of the Hamburg cell with three of the 9/11 hijackers (see July 2001). Zammar appears to have foreknowledge of the 9/11 plot around this time (see August 2001). Zakariya Essabar. [Source: Interpol]Al-Qaeda Hamburg cell member Zakariya Essabar allegedly travels to Pakistan and delivers a message to al-Qaeda leaders about the timing of the 9/11 attacks. Hamburg cell member Ramzi bin al-Shibh will later be arrested and interrogated, and according to a 2005 report about his interrogations, Essabar delivers the simple message “eleven nine.” Most countries around the world, including Muslim countries, put the day before the month, so this is a reference to September 11, the date of the upcoming 9/11 attacks. This message is supposed to be sent to someone with the name Mukhtar in Pakistan. Mukhtar is a commonly used alias of 9/11 mastermind Khalid Shaikh Mohammed (KSM) (see August 28, 2001), and he is in Karachi, Pakistan, at the time (see Early September 2001), so this is likely a reference to him. But Essabar apparently is unable to quickly find KSM, and he calls bin al-Shibh in Germany to say he is having trouble finding him. Presumably, bin al-Shibh loses contact with Essabar after this, so it is unclear what happens to the message. [Washington Post, 5/24/2005] However, it is unclear how reliable bin al-Shibh’s claims may be, especially since he may be tortured later. Bin al-Shibh will give conflicting information about Essabar. At one point, he claims he knows nothing about Essabar at all. At another point, he claims that al-Qaeda leader Mohammed Atef told Essabar to try to acquire a US visa, but did not explain why, and Essabar had no foreknowledge of the 9/11 attacks. But at another point, he claims that Essabar was told the get the US visa so he “could travel to the United States to take part in the planned attacks.” [Reuters, 5/21/2005; Washington Post, 5/24/2005] While it may be uncertain if Essabar delivers a message on the timing of the 9/11 attacks, it is highly likely that he does flee to Afghanistan at this time. Others will later say they see him at an al-Qaeda training camp in Afghanistan in late September 2001 (see September 10, 2001). His whereabouts after then will be unknown. Said Bahaji at his 1999 wedding. 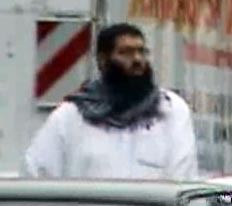 [Source: Public domain]Members of Mohamed Atta’s Hamburg al-Qaeda cell leave Germany for Pakistan. Said Bahaji flies out of Hamburg on September 3, 2001, using his real name. [Chicago Tribune, 2/25/2003] German intelligence already has Bahaji under surveillance, and German border guards are under orders to report if he leaves the country, yet the border guards fail to note his departure (see September 3, 2001). [Frankfurter Allgemeine Zeitung (Frankfurt), 2/2/2003] German agents later discover two other passengers on the same flight traveling with false passports who stay in the same room with Bahaji when they arrive in Karachi, Pakistan. [Los Angeles Times, 9/1/2002] Investigators now believe his flight companions were Ismail Bin Murabit (a.k.a. Ismail Ben Mrabete) and Labed Ahmed (a.k.a. Ahmed Taleb), both Algerians in their late 40s. Three more associates—Mohammed Belfatmi, an Algerian extremist from the Tarragona region of Spain, and the brothers Mohammad Sarwar Joia and Patrick Joia—also travel on the same plane. [Chicago Tribune, 2/25/2003; Chicago Tribune, 2/25/2003] Ramzi bin al-Shibh flies out of Germany on September 5 and stays in Spain a few days before presumably heading for Pakistan (see September 5, 2001). [Los Angeles Times, 9/1/2002] Some of these men are reported to meet in Karachi around this time, possibly with others (see September 4-5, 2001). Two peripheral members of the al-Qaeda cell in Hamburg, Germany, leave Germany to attend an al-Qaeda training camp in Afghanistan. Ibrahim Diab, a Lebanese national, and Bechim Ademi, a naturalized German, are said to be recent al-Qaeda recruits. They have been attending the Al-Quds mosque in Hamburg also attended by many of the cell members. They will later claim that cell members Ramzi bin al-Shibh and Mohammed Haydar Zammar convinced them to go to Afghanistan for training (and Zammar paid for at least Diab’s ticket (see August 2001). By September 23, 2001, they will have reached a training camp near Kabul and begun weapons training. They will recognize Hamburg cell members Zakariya Essabar and Said Bahaji at the camp. Bahaji left Germany for Afghanistan in early September 2001 (see September 3-5, 2001) and Essabar made a similar trip around the same time (see Late August 2001). Essabar stays with the camp’s leaders and seems to have an important position. Diab and Ademi will be arrested in Pakistan in October 2001 (see October 29, 2001). [Chicago Tribune, 2/23/2003] They will be sent back to Germany in November 2001, after pressure by the German government. They will be interrogated by German officials and reveal the information mentioned above. However, they will be released and not charged with any crime. [Australian Broadcasting Corporation, 7/20/2004] It is unclear if the timing of their departure from Germany one day before the 9/11 attacks shows foreknowledge of the attacks or if it is just a coincidence. The German government issues an international arrest warrant for Zakariya Essabar, a member of the al-Qaeda cell in Hamburg, Germany, with a few of the 9/11 hijackers. Essabar left Germany to fly to Pakistan in late August 2001 (see Late August 2001). This is the third 9/11-related international warrant issued by Germany, following warrants for cell members Ramzi bin al-Shibh and Said Bahaji issued in late September 2001 (see September 21, 2001). [CNN, 10/19/2001] Essabar was seen in an al-Qaeda training camp in late September 2001 (see September 10, 2001). He has not been heard of since. Assef Shawkat, head of Syrian intelligence. [Source: Agence France-Presse]German intelligence officials are able to interview Mohammed Haydar Zammar, a member of the al-Qaeda cell in Hamburg with some of the 9/11 hijackers, while he is being secretly held in a Syrian prison. Zammar was born and raised in Syria but later became a German citizen. 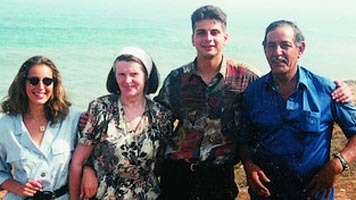 He was arrested in Morocco in late 2001 and sent by the US to Syria for torture and interrogation (see October 27-November 2001 and December 2001). Secret Deal between Syria and Germany - In July 2002, German officials met with Syrian officials at the German Federal Chancellery in Berlin. The Syrians were led by Assef Shawkat, a trusted associate and relative of Syrian President Bashar Assad. The Germans included the heads of the Federal Intelligence Service (BND) and the Federal Office of Criminal Investigation (BKA). The Syrians wanted the Germans to call off a German legal case that had charged two Syrians, one of them an employee at the Syrian embassy, with espionage. The Syrians also wanted Germany to call off an investigation into President Assad’s uncle, Faisal Sammak, for storing explosives at a diplomatic residence, which resulted in a 1983 bombing in Berlin that killed one person. The Germans in return wanted the Syrians to disband their network of spies in Germany, and they wanted access to Zammar. The Germans and Syrians struck a deal based on these demands. Shortly thereafter, German prosecutors dropped the charges against the two Syrians accused of espionage. In return, German officials are allowed to meet with Zammar as long as the meeting and all information from it remain secret. Meeting with Zammar - On November 20, 2002, six German intelligence officials, including those from the BND and BKA, plus those from the Office for the Protection of the Constitution (BfV), go to Damascus, Syria, to see Zammar. The prison is notorious for frequently using torture, and the German officials cannot miss that Zammar has been ill-treated and tortured. In fact, Zammar used to weigh about 300 pounds, and he has lost around 100 pounds. Zammar speaks with surprising candor, perhaps feeling confident that the Germans will never be able to use his confession in any criminal case because he has been so clearly tortured by the Syrians. Zammar admits that he attended a militant training camp in Afghanistan in 1991. He attended another Afghan camp in 1994, where he learned how to use poison and various weapons. In the summer of 1995, he fought with the Bosnian Muslims against the Serbs. In September 2000, he says he brought money to Afghanistan for al-Qaeda and even had a face-to-face meeting with Osama bin Laden (see September-October 2000).